A magnet for controversy, the media, and followers, the Rev. 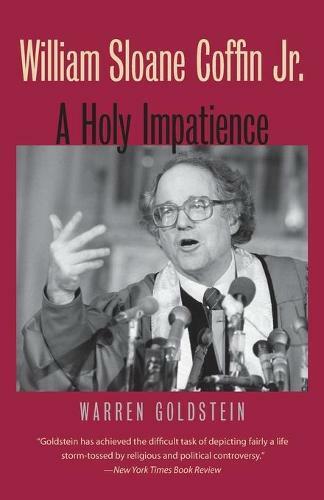 William Sloane Coffin Jr. was the premier voice of northern religious liberalism for more than a quarter-century, and a worthy heir to the Rev. Martin Luther King Jr. From his pulpits at Yale University and, later, New York City's Riverside Church, Coffin focused national attention on civil rights, the anti-Vietnam War movement, disarmament, and gay rights. This revealing biography-based on unparalleled access to family papers and candid interviews with Coffin, his colleagues, family, friends, lovers, and wives-tells for the first time the remarkable story of Coffin's life. An army and CIA veteran before assuming the post of Yale University chaplain at the youthful age of 33, Coffin gained notoriety as a leader of a dangerous civil rights Freedom Ride in 1961, as a defendant in the "Boston Five" trial of draft resisters in 1969, and as the preeminent voice of liberal religious dissent into the 1980s. This book encompasses Coffin's turbulent private life as well as his flamboyant, joyful public career, while dramatically illuminating the larger social movements that consumed his days and defined his times.